When an unvented hot water system is installed both the hot and the cold water supplies within the dwelling, deliver water at the taps or shower outlet at mains water pressure. Cold water from the mains is delivered to the base of the cylinder, the water is heated, then when a tap or shower is turned on the mains water pressure pushes the hot water out. To allow the water that is heated in the cylinder to expand as it is heated, an internal or external expansion vessel is used; a pressure relief valve is also fitted should the vessel fail. 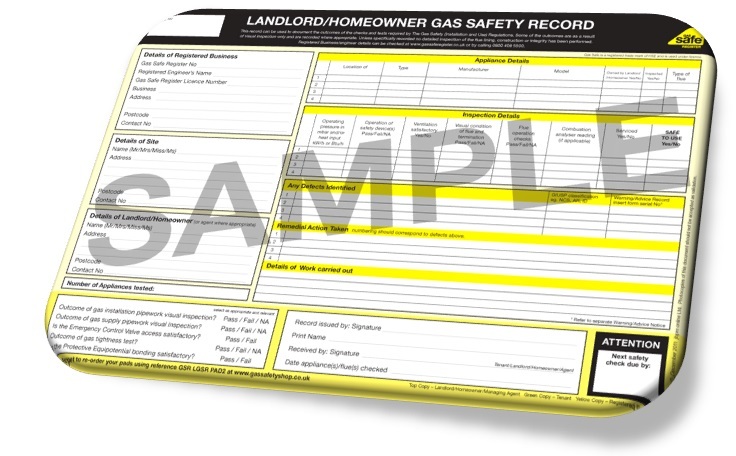 An un-vented hot water storage cylinder can be heated directly via an immersion heater or indirectly by most heating systems providing it is not a solid fuel burning appliance They are ideal where high performance is required or in multi story properties where it would be difficult to gain the necessary head of water via a cold water storage tank to feed taps on the upper floors. Balanced pressures at hot and cold taps. High performance showering throughout the house. High pressure and hence flow rate of hot water.Fast filling baths.Potable (drinking) water at all taps. No cold water storage therefore no contamination. No storage back up if mains water fails. Poor mains water pressure will cause poor performance. The unvented cylinder is run off the mains water supply which, in turn pressurises the cylinder allowing the hot water to be distributed around the system when required keeping a high flow rate. Unvented cylinders are available in both direct and indirect (please see below) models. The unvented direct cylinder heat’s the water through an electric immersion heater, while the unvented indirect cylinder uses a gas, oil or electric boiler. Open vented cylinders are used in conjunction with a header tank, this is normally located in the loft and stores the cold water, the water is then gravity fed from the header tank to theopen vented cylinder, which is then heated as it passes through and then onto the outlet in use.Open vented cylinders should be fitted lower than the header tank, as this will create better water pressure however in some cases the use of a pump is required to maintain a higher flow rate. The combination cylinder is ideal for properties where space is limited, it is a vented cylinder that has a built in cold water header tank fitted on top and is available as both direct and indirect models. Direct cylinders have a built in immersion heater which heats the water “directly” as it passes through the cylinder, eliminating the need for a separate heat source, the water is then sent from the cylinder to the outlet in use. Indirect cylinders are designed to work in conjunction with a boiler. 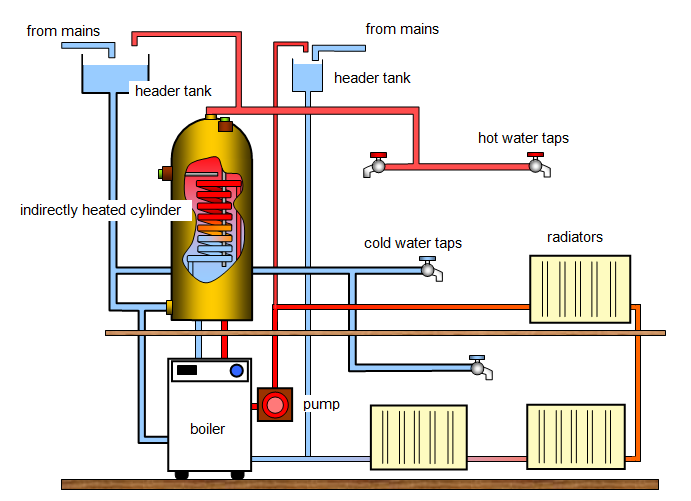 The water is heated by the boiler and then passed through an internal coil inside the cylinder which heats the water stored in the cylinder to the desired temperature.